Science Olympiad comes in many shapes and sizes to fit all your needs. At the K-6 level, try an Elementary Science Olympiad (ESO) program, which can come in the form of a competitive tournament, a hands-on science Fun Day or an expert-filled Science Olympiad Fun Night. In grades 6-12, Science Olympiad functions much like a football or soccer team, requiring preparation, commitment, coaching and practice throughout the year. Each school-based team is allowed to bring 15 students who cross-train for a variety of events in their skill set, but some school clubs and boast more than 75 members, allowing for a rich apprentice and mentoring system for all involved. 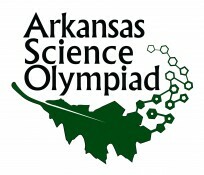 The Arkansas Science Olympiad is the state-level tournament organized to provide teams the opportunity to compete and represent Arkansas at the National Science Olympiad. All students on a team must be members of that schools student body as defined by the administration of the school.